'Tis the season for experts from seemingly every sector to look into their crystal balls and reveal their "predictions" for the upcoming year. December is here, and ‘tis the season for experts from seemingly every sector to look into their crystal balls and reveal their “predictions” for the upcoming year. For those compiling their “top 10 IPO lists,” there are the clear standouts - Facebook and Yelp - but also quite a bit of uncertainty amidst fluctuating market conditions. However, there is a sense of optimism among analysts, and many believe that we will see an increase in the number of IPOs and equity events throughout 2012. For clients that are either considering an IPO or preparing to be acquired, it is important to emphasize the importance of maintaining visibility throughout the process - from the months leading up to the filing or acquisition, throughout the quiet period in the case of an IPO, and after the transaction or event has occurred. Most of your corporate contacts have never undertaken this type of effort and will rely heavily on their PR agency to guide them through the process. One of the most important pieces of advice a PR firm can bestow on its client is to make sure the communications efforts continue to move forward. Even during a quiet period, clients must avoid placing their marketing and PR programs on auto-pilot, or even worse, shutting them down altogether. Although there will always be cautious lawyers on hand to pull back the reins, the reality is that a company can continue with most of its planned PR activities, such as issuing press releases or launching products, as long as it had already been engaging in these activities in the past. Now more than ever, it is important for a client to increase its profile with prospects, customers, investors, and the media. Stay the course. Continue planned communications strategy, product launches, press releases, and editorial opportunities. Simplify your story. Re-tool your messaging to make it easy for investors or prospective buyers to comprehend and relate to. Analyze your PR strategy. Focus on the activities that will get you noticed, such as thought leadership pieces and placement in trend stories. Refresh your marketing materials and other assets, such as sales collateral, corporate identity, website, newsletters, and direct marketing campaigns. Develop and expand social media strategy. Implement or expand social media strategy, creating an integrated marketing matrix that ties in key initiatives with social media campaigns. It is important to remind clients that they will emerge from the IPO or acquisition as a substantially more significant company - from both a size and revenue perspective - with a greater burden of accountability. By putting a communications framework in place, PR agencies can help clients extend the goodwill earned during the IPO or acquisition far into the future. 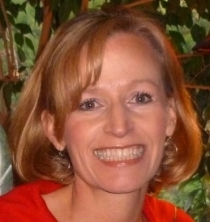 Jeannette Bitz is the owner and principal of Engage PR.